Just as elegant and slinky as the console table from the same range, the Luxury transformer table can easily be turned from a space saving console table into a full size dining table. 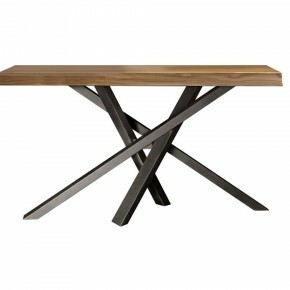 The Luxury transformer table features an oak wood top and scalloped steel legs. The matching wooden extension leaves can be easily stored away in the special storage bag. Top white lacquered.